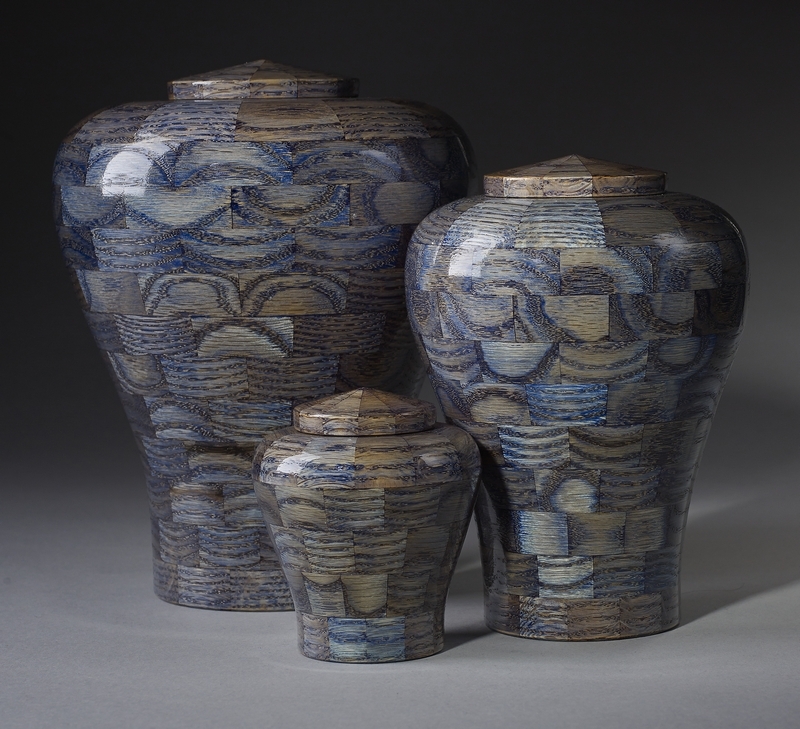 Featuring the newest introduction to our art inspired line of elegant turned wood natural cremation urns. 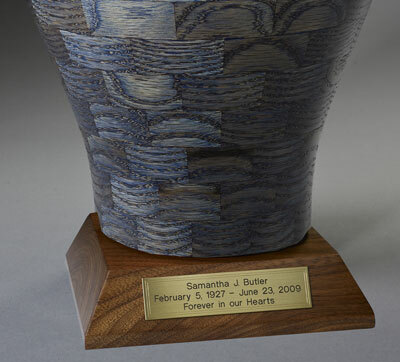 The Oceanic Blue Hardwood urn is professionaly hand-crafted in the U.S. The oak segments are hand turned and dyed a tranquil blu. This natural-looking blue color draws out the unique wood grain patterns in each piece of oak, which give the impression of soothing waves.